Make your life sweet or be ready for any family party or social event in your house. Separate egg yolks and whites. Beat the egg yolks with sugar, add gradually stiff beaten egg whites, flour, baking powder and cocoa. 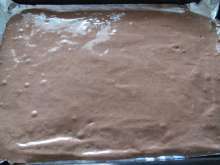 Pour the batter into the baking tray covered by greased baking paper or aluminium foil and bake at medium temperature for about 15 minutes. 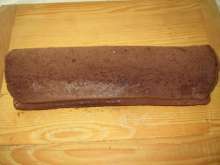 After baking, roll the dough and let it cool. 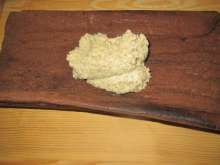 It holds better shape after filling with cream. 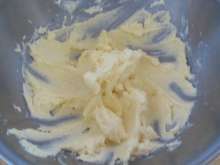 Blend butter with icing and vanilla sugar. 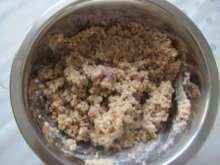 Pour hot milk over the walnuts and when cold stir into the butter. 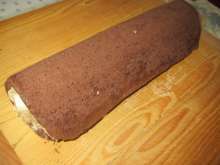 Unroll cooled dough, spread filling over the inner side, place bananas accross the filling. 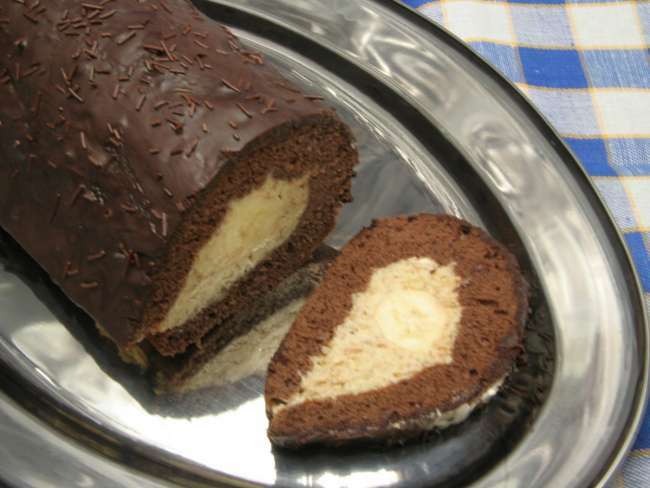 If the filling remains spread it over the top of roulade and pour chocolate topping over.